​What is an Independent Diamond Certificate? 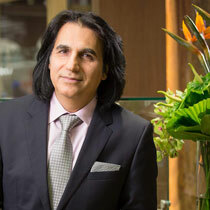 - Wedding Bands & Co.
What is an Independent Diamond Certificate? Engagement rings can be quite pricey. Most of that expense comes from the cost of the diamond that is chosen. It’s very important to do your homework and to be knowledgeable about diamonds. But no matter how well-versed you are in diamond jargon you should also always get the gem certification from your jeweler. In this article, we will go through the ins and outs of Independent Diamond Certification and how it can save you a lot of headache later on. Diamond grading laboratories work very hard to always have accurate information, but the graders are just human and could end up creating some errors in their findings. Therefore, you should always make sure that when you are on the search for the perfect diamond that you are looking at authentic jewelry stores with a good repartee with their community and customers. These jewelry stores will have all the paperwork for you to leave the store confident that you have a high quality diamond. When you buy a diamond they will give you the certified diamond certificate pages. These documents list all the characteristics that are important to know about your diamond for appraisal and insurance purposes, such as: measurements, color, and clarity, and some other components that we will discuss in this article. There are multiple certificates and they are not all at the same caliber. So when you pick a diamond, of course, look for one that is beautiful to your eye. But also get a stone that has a very good legitimate certification and make sure you get that from a knowledgeable gemologist. Here, at Wedding Bands & Company, we certify our gemologist through GIA which is the Gemology Institute of America, one of the most prestigious gem graders in the country. What do you find in a certificate paper? Every certification will have the logo of the company who certified it. This helps people know the difference from an authentic certification and a fake one. Even if it seems like a small detail. Knowing the date your stone was certified is critical. If the date of the inspection doesn’t go farther back than a year, then you’re good to go. You’ll have a nice stone that’s certified and your set. If your stone certification is dated farther out than a year you will need to do a little research. Somethings to check on is that the diamond hasn’t been owned before. If it has, you need to know some things about second hand diamonds, unfortunately that will have to be explained in another blog post. Another think to keep in consideration is if it was certified years ago, the technology that they use today wasn’t up to the same speed that it is now, which means there is more room for error on the report. And if a stone happens to be older than 10 years GIA can’t confirm its legitimacy, and who wants to purchase a stone like that? 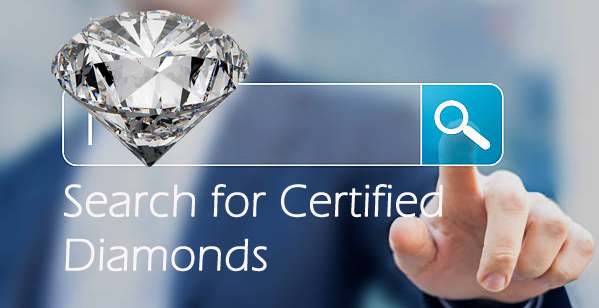 Certifications also show the shape or cut of the diamond. Shape refers to the physical appearance of the diamond and the cut refers to the proportions of the stone that directly effects the brilliance of your diamond. Measurements of your stone are exactly that. They are the length, width, and height of your stone. A more obvious stone characteristic that is shown on the grading report is the diamonds weight. Diamonds are weighted by carats and points, each point is 1/100th of a carat, so there is 100 points to 1 carat, and each carat weighs 0.2grams. Another characteristic that can be found on the certification is the color of the stone. Diamonds are categorized by color using the Diamond Color Scale. They are given a letter D-Z, D being colorless and Z being a light yellow. Clarity of a diamond is the visual appearance of the internal characteristics of a diamond, such as: inclusions and service defects that affect the diamonds ability to transmit and scatter light. It’s always best to consult with an experienced diamond expert to make sure you’re getting the best clarity for the best price. Once they have those measurements the last component of the cut grading is to sort the diamond into the categories of Excellent-Poor for Polish, Symmetry, and Nil-Strong for Florescence. Polish is distinguished as how smooth the facets are in the diamond. If it’s an excellent or good polish you won’t see any marks, unless under a huge magnifier. Symmetry looks at the positioning of each facet to the other facets. If they have similar height, width, and angles they are considered excellent or good. While the stone is getting its grading it is exposed to a special ultraviolet light. This light defines the amount of phosphorus in the diamond. Phosphorus is what prevents the light from refracting properly out of the diamond. Laboratories usually have a comment section so they can leave any other comments regarding the stone. Make sure to read all of these carefully if there are some on your certification papers. The laboratory will declare you in the final part of the certificate that this certificate will not guarantee the diamond and there is no information about the value and the price of the diamond. The laboratory suggests you get help from an experienced diamond expert.